Art at Morton College. Andrew CopperSmith. 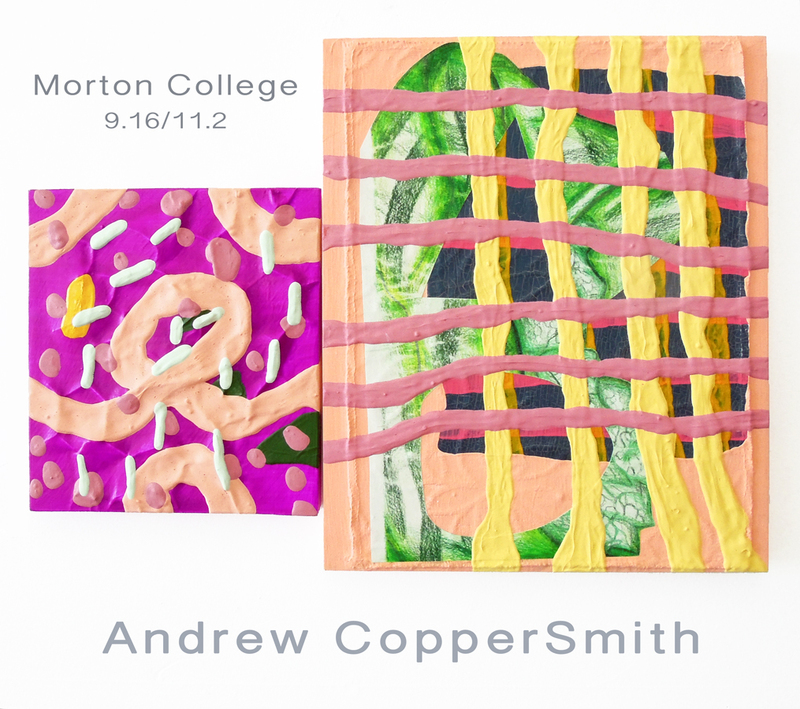 Andrew CopperSmith is a Chicagoland native that received a BFA from Ohio University and a MFA from The School of the Art Institute of Chicago. Andrew has exhibited his work in numerous exhibitions regionally and nationally. Andrew’s work focuses on his fascination with the visual aspect of the domestic products we surround ourselves with. His pieces often fuse unconventional and conventional art materials such as fabric, tape, sponges, paint, wood or paper. This body of work is his assessment of the important rituals and arrangements of patterns and decoration constructed in his everyday life. This entry was posted in Art at Morton College, Chicagoland and tagged Andrew CopperSmith, artist, arts, Chicago, Chicago suburbs, Cicero, Community, Community College, Contemporary Art, creating, creativity, curated, Diana Gabriel, domestic, morton college, painting, Patterns.